Does your list of favorite pastimes include screaming your head off while cruising in the passenger seat of a fast, fierce, and powerful vehicle? Then SPEEDVEGAS is for you! With a ton of options to choose from, there’s a racing experience out there for everyone! Choose from a variety of cars, including Lamborghinis, Porches, Corvettes, and more! Sit back in the passenger’s seat and let a professional driver take the reigns, or put your foot on the gas yourself! Whatever you’re looking for, SPEEDVEGAS has it. 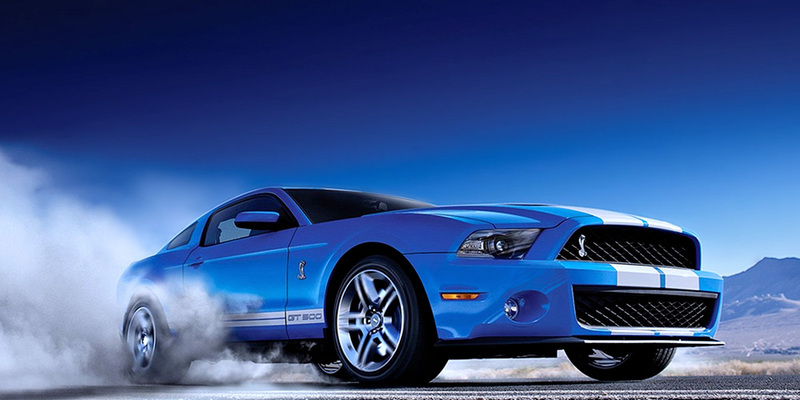 Hit the gas in the Shelby GT500, with top speeds of 186 MPH. You’ll sit down next to an experienced professional driver in this ride-along drifting experience. You’ll have access to the pit area and SPEED Lounge and viewing terrace. Helmet and safety equipment is included, as is round-trip transportation to/from hotels on The Strip. 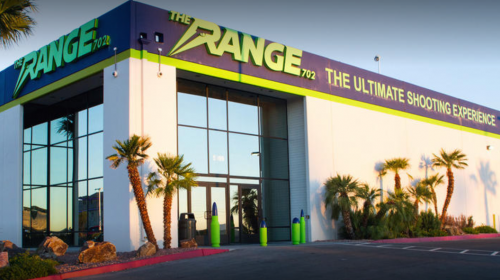 The Adrenaline Rush is the perfect activity when you are looking for things to do in Las Vegas that will get your adrenaline pumping. 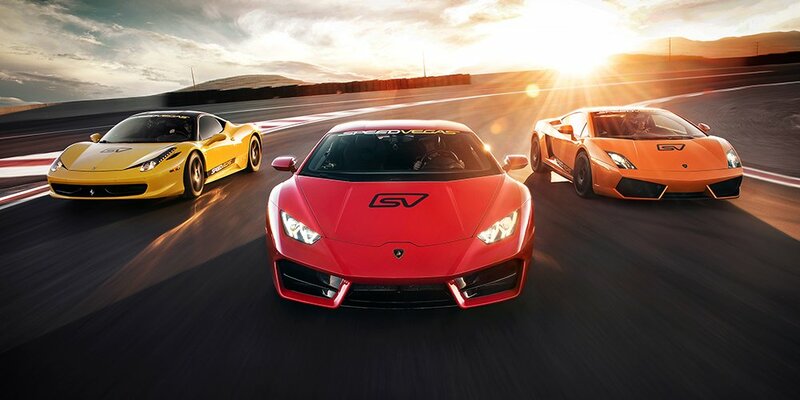 This exotic supercar experience will allow you to look good and go fast at the same time. 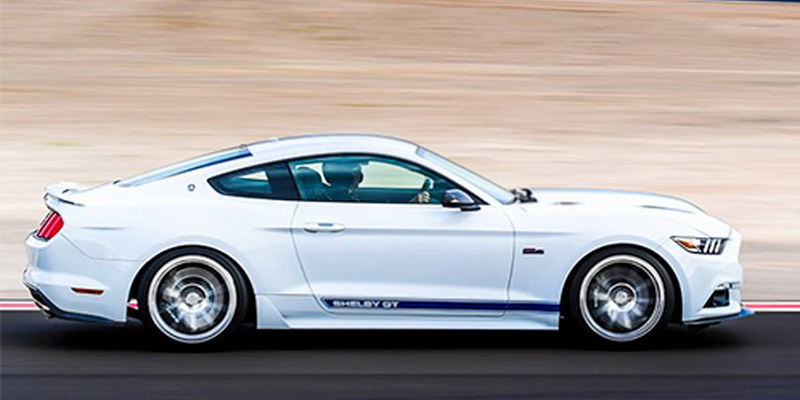 Choose from the Shelby GT or Porsche Cayman GTS and hit the track. Approximately 120-150 minutes. This package put you behind the wheel of two of the most well-known supercars. First, you get to try out for laps in either the Nissan GT-R, Mercedes AMG GTS, Porsche Cayman GTS, or the Audi R8. 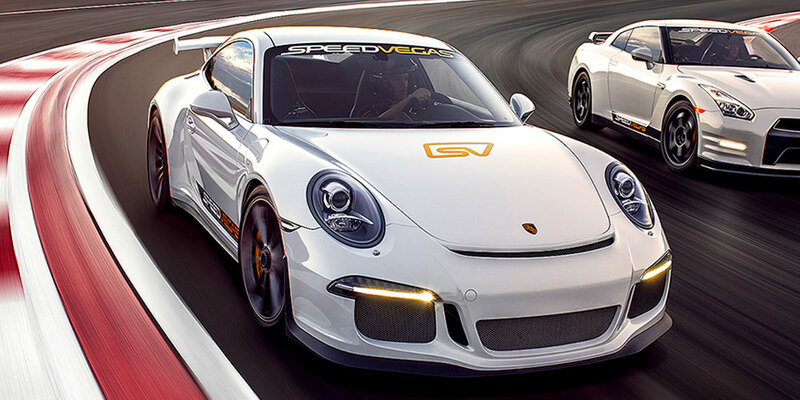 Then, you get to drive another for laps in either the Porsche 911 GT3 or the Lamborghini Gallardo. You also get access to the Pit Area and SPEED Lounge, helemt and safety equipment, and round trip transportation to/from hotels on The Strip. Optional upgrades include: more laps, more experiences, video recording of your ride, photo with commemorative frame. The Full Throttle package is all about speed and performance. 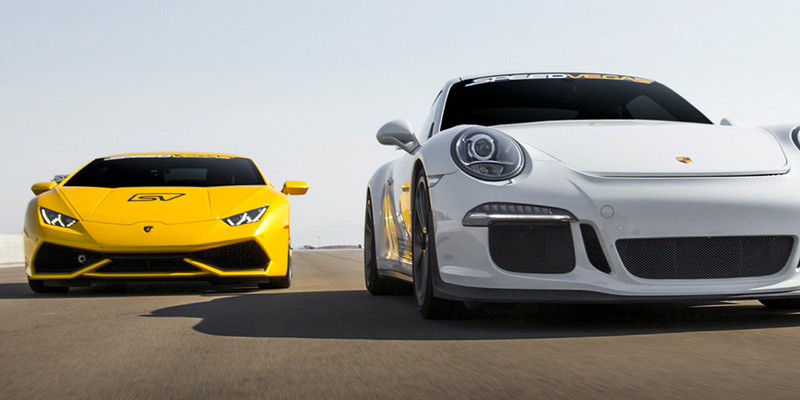 Choose from: Porsche 911 GT3, Corvette ZO6, or Lamborghini Gallardo. Approximately 120 – 150 minute. 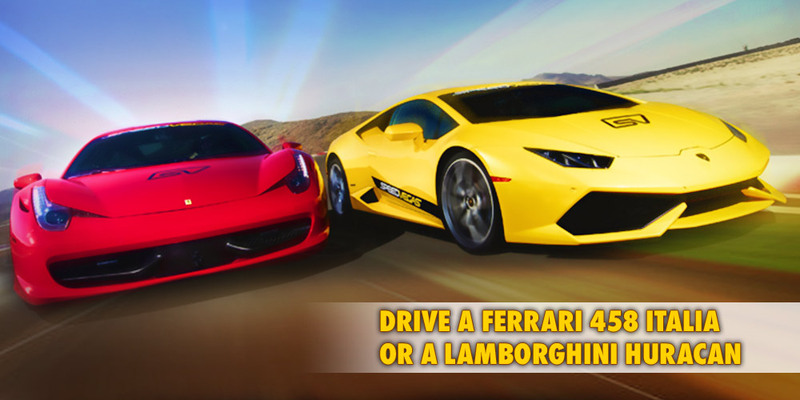 Choose from: Ferrari 458 Italia or Lamborghini Huracan. Approximately 120 – 150 minutes. Five laps are waiting for you at the racetrack. 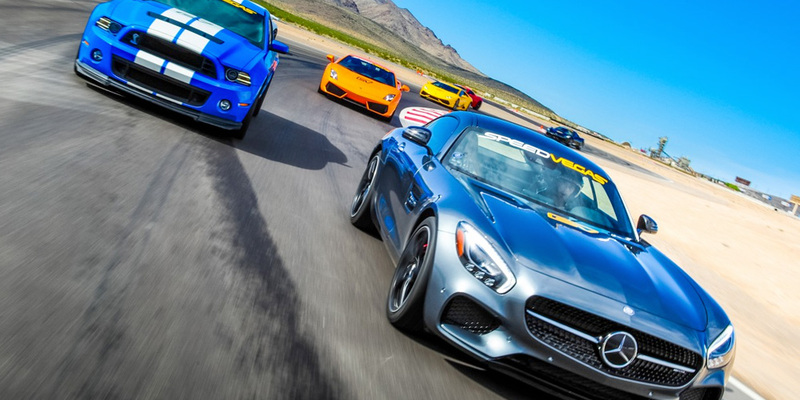 This package includes: 5 laps in a Porsche Cayman GTS or a Shelby GT, 5 laps in a Nissan GT-R, Audi R8, or Mercedes AMG GTS, Access to SPEED lounge, Access to pit area, Helmet and safety equipment, Roundtrip transportation from a Vegas Strip hotel. You can also purchase more experiences, more laps, a video recording of your drive, and/or a photo in a commemorative frame. 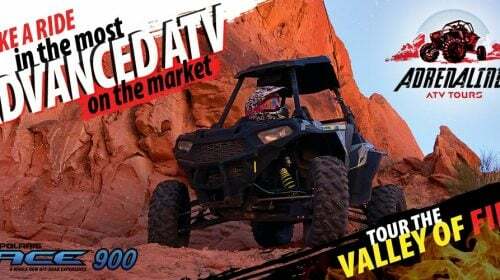 This package includes: 5 laps in a Shelby Mustang GT, 5 laps in a Corvette ZO6, access to pit area, access to SPEED lounge, helmet and safety equipment, round trip transportation from Vegas Strip hotel. Optional purchases include: more laps, more experiences, a video recording of your ride, and/or a photo in a commemorative frame. 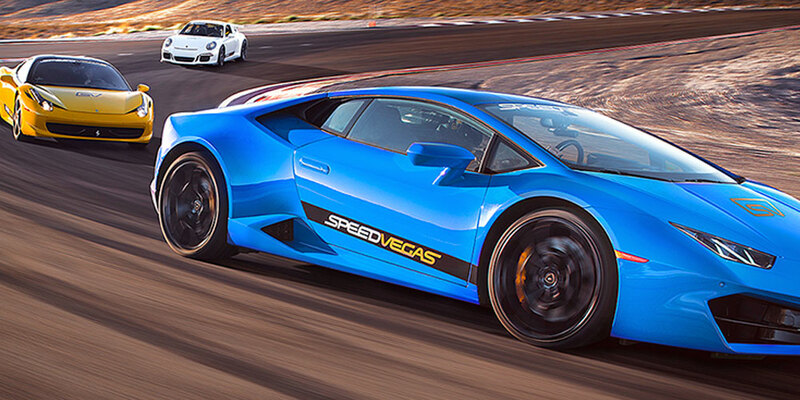 This package includes: 5 laps in the Lamborghini Huracan, 5 laps in the Lamborghini Gallardo, access to the pit area, access to the SPEED lounge, helmet and safety equipment, roundtrip transportation from Vegas Strip hotels. 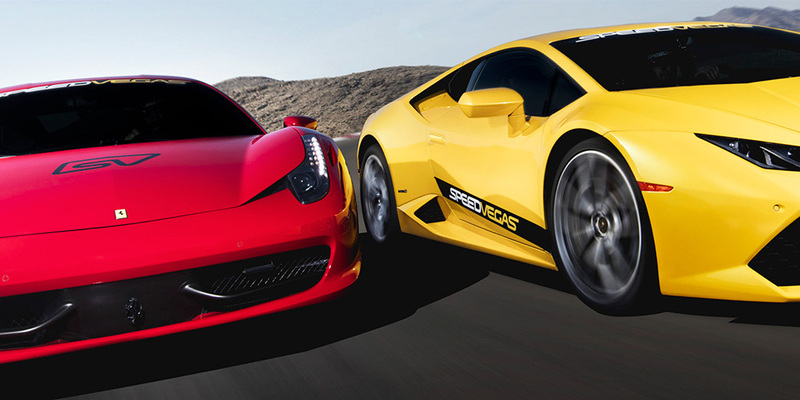 You get to spend time in both of these cars as the driver – and complete over 15 miles of driving within these. Why drive one impressive Italian supercar when you can drive two? This is truly the best way to experience the power that both have to offer. 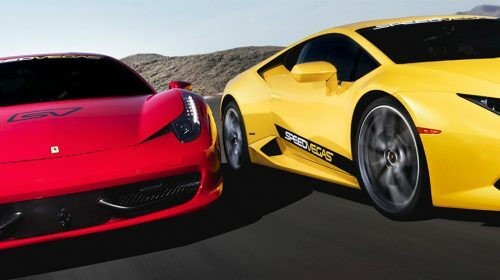 This package includes: 5 laps in a Ferrari 458 Italia, 5 laps in a Lamborghini Huracan, access to SPEED lounge, access to pit area, helmet and all safety equipment, round trip transportation from Vegas Strip hotels. You don’t have to choose with this package! 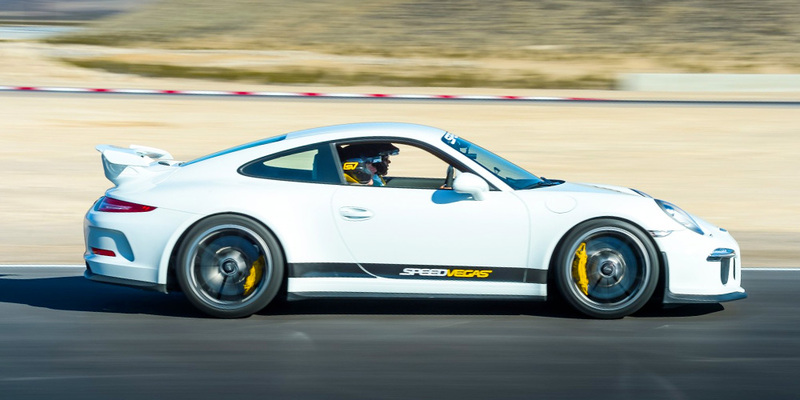 It includes: 5 laps in a Porsche 911 GT3, 5 laps in a Lamborghini Huracan, 5 laps in Ferrari 458 Italia, access to SPEED lounge, access to pit area, helmet & safety equipment, and round trip transportation from Vegas Strip hotel. Optional upgrades include: more laps, more experiences, a video recording of your ride, and/or a photo with a commemorative frame. The moment you climb into the driver seat of a Shelby Mustang GT, you won’t be able to keep your foot off the gas. Swing around corners and take hairpin turns so that you can truly experience what the supercharged V-8 engine is capable of. You’ll reach the 456 hp and make you feel as though you are on the ride of your life. This vehicle has a legacy that dates back 50 years. With all that this American classic has to offer, you won’t be able to resist all of its charm. If you decide to go for the Porsche Cayman GTS, you’re going to experience a ferocious beast. The mid-engine layout offers premium balancing. You’re not going to get any surprises when you’re out with this exotic car on the track. When you’re in the driver’s seat, you will feel all of its power. Similar to the Boxster, the Cayman obeys all of your commands from the steering wheel. The brakes are there, if you need them, and won’t fade over the course as you give it your all on the track. Porsche’s Cayman is extremely driver-focused and you might not be able to resist getting behind the steering wheel when you see it at the racetrack. The Porsche Cayman GTS reaches speeds of 177 mph. 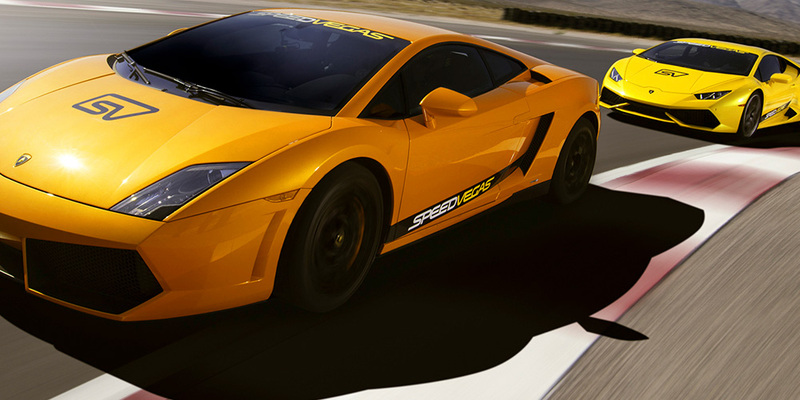 The Lamborghini Gallardo LP 550 – two is actually considered the “entry-level” model when it comes to this Italian beast. However, it certainly doesn’t drive like any entry-level vehicle you’ve ever seen. With a balanced chassis and the rear-wheel steering, you’re going to discover all sorts of power when you’re making your laps. The corners of the racetrack provide no challenge as you continue to step on the gas. As for the Porsche 911 GT three, it’s not just a race car. All of the luxury with her now system, air-conditioning, and stereo. The reality is that you don’t want the stereo pumping – you want to hear the impressive roar of the engine. With the dual clutch, you’re going to be able to go faster – and this is going to make it that much more exhilarating for you. It’s a complete beast with 21 inch rear wheels, an impressive rear wing, and fender-top louvers that will make you wonder how the world this is Street legal. The Corvette ZO6 is an impressive American muscle car. It offers incredible racetrack performance, and it’s hard to believe that it’s only $79,000. You’ll find that the turning dynamics and the braking are incredibly powerful, though the aerodynamics are truly what makes this an impressive vehicle. It might be the smallest of the Ferrari lineup, but it’s fast and is absolutely amazing to drive.The engine is going to sing as it speeds down the track. Premier steering and a rewarding chassis ensure that the ride doesn’t disappoint. Perhaps the best part about this is the 570 hp V8 engine that knows how to go from 0 to 62 in only 3.4 seconds. It’s going to give you whiplash with just how fast it can take off from the starting line. The Lamborghini Huracan is one of the latest models and goes from 0 to 60 in about 2.9 seconds. If you never thought you would get the pleasure of sitting behind the wheel of a car that costs more than $240,000, this is your chance. The 602 hp, 5.2 liter V10 engine is powerful and intimidating. It’s going to wail as you navigate around the racetrack.